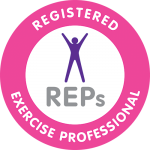 ProTom Fitness offers exceptional personal training in Bristol, Bath, Keynsham and surrounding areas. We are not like other personal trainers. Anyone can stand next to a client, counting out and telling them which machine to use next. We offer much more than that. Use promo code (PTtrial25) to get your trial session for just £25! Whatever your goal, having a personal trainer who is able to identify your particular needs can make all the difference when it comes to achieving your goals. No two people are the same and sometimes a particular exercise may not be suitable for you. Many exercises can be executed in a couple of different ways, and what may be relevant for one body shape or bone structure may not be right for another. Having a personal trainer can help cut down this guesswork, helping to find the best exercise for you. When learning a new movement, care will be given to ensure that the client is using proper technique. Getting this correct is important to avoid injury and improve performance, and having a personal trainer to guide you through this process is fundamental in ensuring positive results. If you have tried to get fit on your own you will have realised that without constant motivation it can get tough very quickly. We not only motivate our clients, we reward them too. Not with a present or a medal, but by showing the client their improvement. Recording a couple of exercises at the beginning of the personal training journey, and then playing these back at a later date really allows the client to see just how far they have come. With ProTom Fitness Personal Training in you can have a lot of fun, learn about yourself and carry this new healthy you into the rest of your life! Use promo code 'PTtrial25' at checkout.